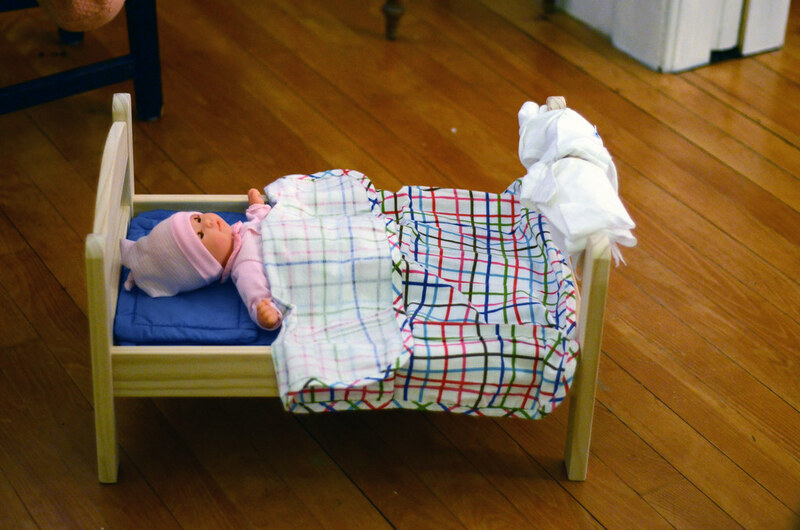 When I was 2 yrs old, my aunt and uncle gave me a baby doll right before my brother was born to help me adjust to upcoming upheaval. I have no idea how I took brother Tim's arrival, but Baby Joey was my favorite toy for a long time. To prepare Luther for his baby sister's arrival, we bought him a Corolle doll, and I altered some old newborn clothes for it and made some cloth diapers. 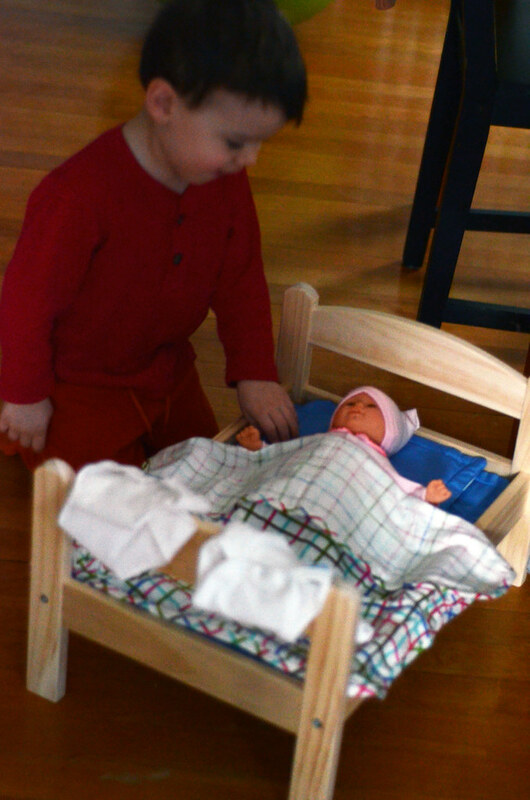 Piercen put together a doll bed we bought from Ikea, and we set it all up for him to wake to on New Year's Day. 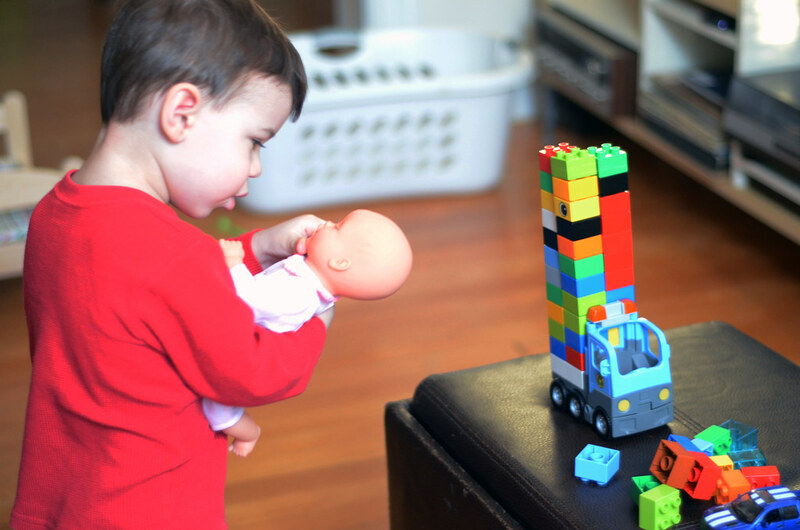 He was pretty thrilled, promptly named her "Maya" (after we vetoed naming her "Raisin"), and after taking her clothes off and on multiple times, he introduced her to his Duplo legos. 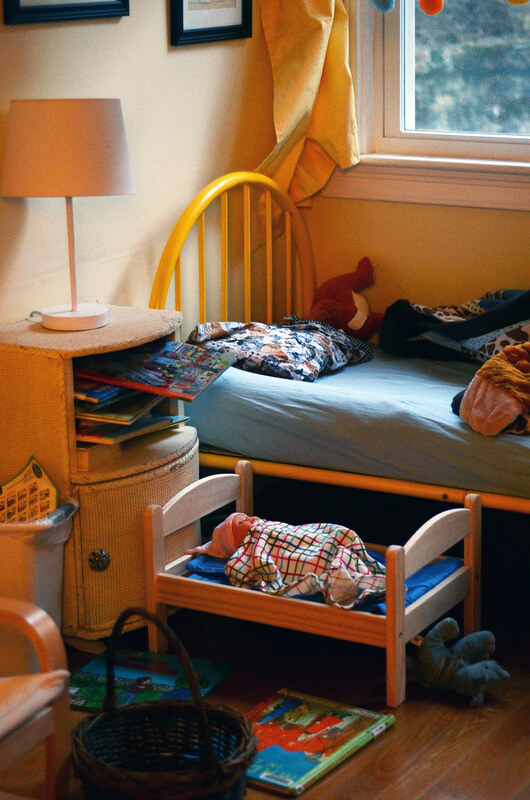 Since then, he insists that she sleeps right next to his bed (just as we have the crib set up in our room), and that he be the one to put her in her "car seat," a wooden basket outfitted with blankets, every time we go somewhere. I think he's going to adjust to the new baby just fine.